Provides a category analysis of beer in the US, including trends, category data, company profiles and key developments in the industry. Global strategies, campaign updates and trends in the spirits category. Global strategies, campaign updates and trends in the beer and cider category. Nigerian Breweries developed a ground-breaking campaign to attract consumer attention and drive volume sales of its Heineken brand in the cluttered World Cup period. Mega Research, a research company, launched a social media exploration to uncover drinking occasions in Brazil by using social listening in its solution. Anheuser-Busch InBev, the brewing giant, believes that creativity will play a central role in driving growth and differentiation at a time of rapid disruption. Anheuser-Busch InBev, the brewing giant, believes that creativity will play a vital role in driving growth at a time of enhanced disruption. US brewer Molson Coors is the latest brand to launch a direct-to-consumer service, shipping beer direct to customers’ homes via two new e-commerce platforms. When brands depict society, it is important that they think about who is doing the watching and who controls the action – an example from Diageo shows how to do this. Grupo Modelo, a Mexican beer manufacturer, engaged its consumers by becoming ‘hacked’ by the group Anonymous. Cerveza Victoria, the beer brand, increased sales by taking a stand against the discrimination of people of colour in Mexico. Absolut Vodka, the drinks brand, used social media GIFs to increase purchase intent in Sweden and around the world. 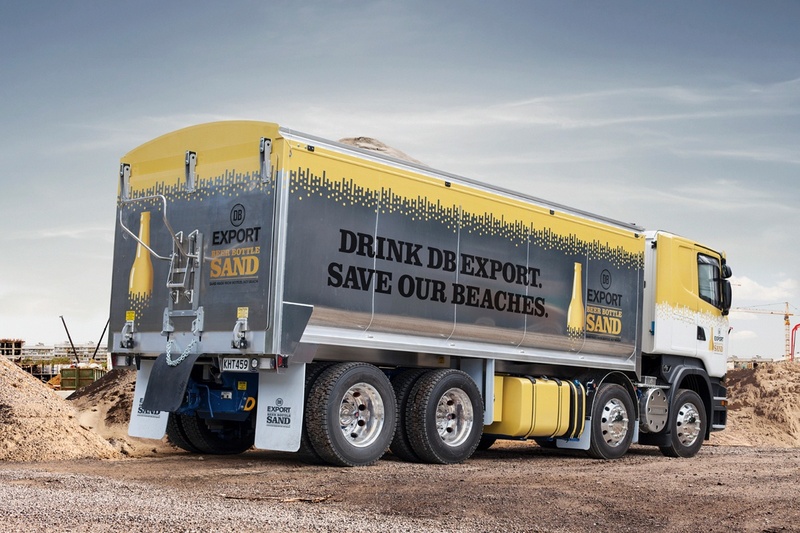 DB Export, a beer brand from New Zealand, brought beer drinkers back to DB Export by turning beer drinking into an act of environmental heroism. Steinlager, the beer brand and official sponsor of the All Blacks, maximised publicity for the Lions Rugby Tour in New Zealand by targeting rugby fans via an airport takeover. The beer brand Budweiser promoted its tagline ‘the beer behind the music’ through an out-of-home campaign in Brazil. DB Export, ranked fifth in the WARC Media 100 ranking, devised an innovative media plan to convert sceptical consumers. Heineken, a beer brand, having become the victim of its own success, drove brand penetration and found a way to get more UCL fans to drink Heineken globally by bringing in football coach José Mourinho. Saltwater Brewery, a microbrewery in South Florida, tackled the unnecessary danger that standard plastic rings cause to wildlife by creating edible plastic rings for its beer packaging. Baileys, an alcoholic beverage brand, turned away from traditional alcohol marketing in the UK and rebranded itself as part of a naughty treat. Koskenkorva, the Finnish vodka brand, appealed to consumers by focusing its marketing strategy on its roots. Tecate, a beer brand owned by Heineken, collaborated with Sylvester Stallone to increase the success of its boxing sponsorship in Mexico. Guinness, an alcoholic beverage brand, increased its market share in the UK by launching multiple TV campaigns that created a cultural connection and reinforced its Made of More message. Looks at how poor sales and new threats have forced drinks giant Diageo to re-imagine the customer experience at several of its brands. Offers an industry overview of alcoholic drinks, including innovation and disruption caused by changing consumer attitudes. A global outlook on the alcoholic drinks category, including information on the leading companies and brands, five trends shaping the industry and market snapshots.